Just had a minute to finally share a beautiful sunset from a couple of nights ago. 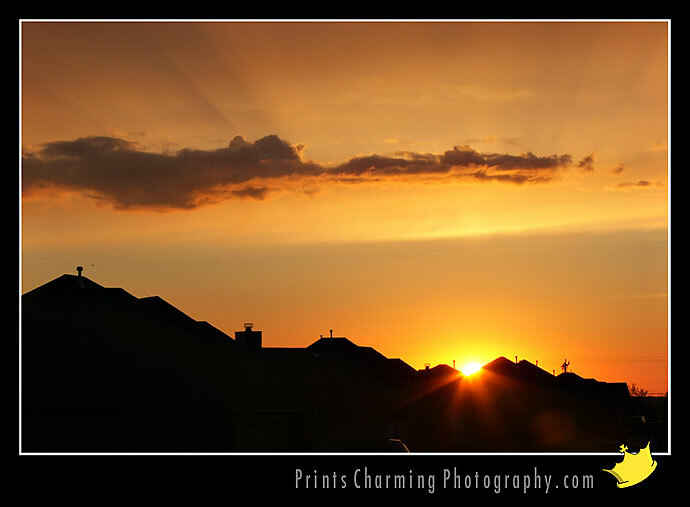 Yet another Oklahoma sunset picture taken from my own front porch. There are a lot of prettier places to live in the world, but not many that have such beautiful skies, sunrises and sunsets as Oklahoma. BTW, no retouching at all was done to this photo to intensify colors, etc… just posted straight from the camera after putting our border and logo on it.